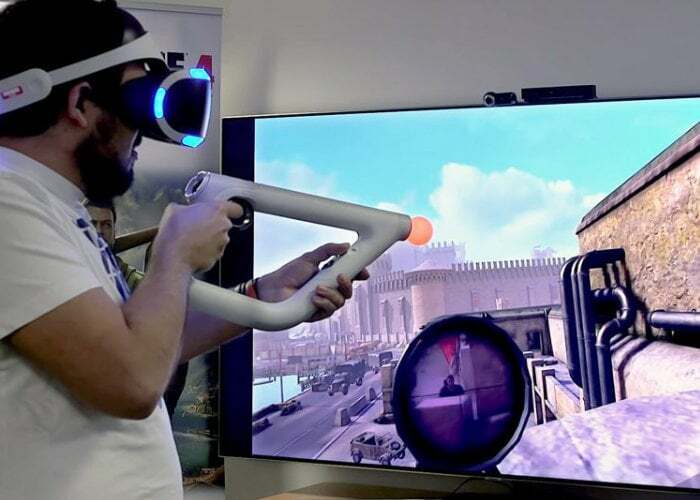 PlayStation VR gamers may be interested to know that Rebellion Developments the team responsible for creating the excellent Sniper Elite series of games. Has this week announced the development of a new Sniper Elite VR version of the game which is expected to launch on the PSVR platform and offer support for the Aim controller adding even more immersion to the virtual reality shooter. – Sniper Elite 3 Ultimate Edition on Switch introduces Karl’s breath-taking North African adventure to a Nintendo platform for the first time ever. – A new, standalone Sniper Elite game for VR devices, currently in development in partnership with Oddworld studio Just Add Water. – The next major title in the Sniper Elite series, following in the footsteps of the widely acclaimed Sniper Elite 4, is now in development.